Experience hydroflight at Shasta Lake! Hydroflight uses water jet propulsion to create sustained flight where lift and movement are controlled by a person riding a jet ski. 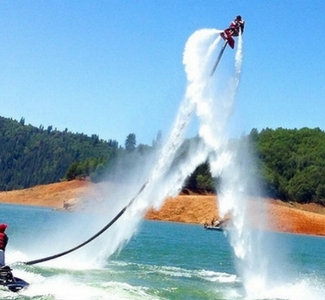 Norcal Jetovator offers expert instruction for singles and groups, and even Hydro Circus shows. You can even purchase your own jetovator!